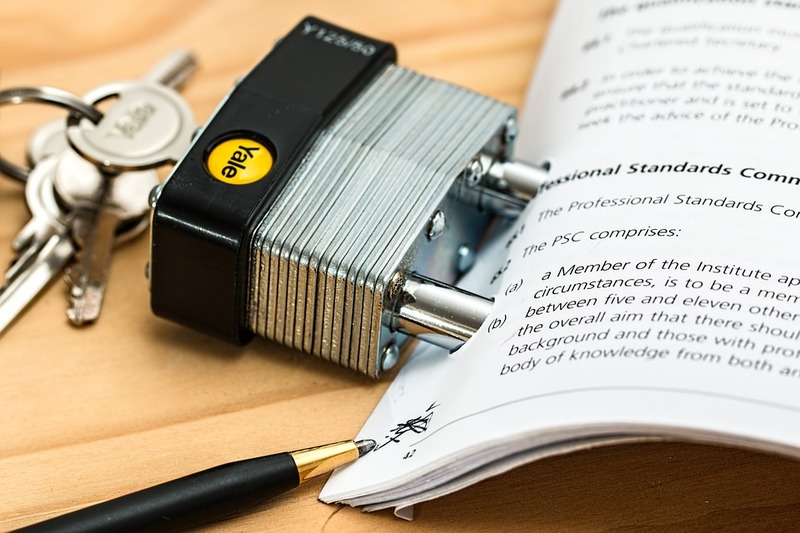 There are some passages in the judgment of Mr Justice Knowles in Tchenguiz -v- Grant Thornton UK LLP  EWHC 310 (Comm) which highlight, succinctly, the nature of disclosure and the scope of “collateral use protection” in relation to documents disclosed in litigation. It is an example of the courts considering the tension between the need for disclosure and the requirement for proportionality. The action related to allegations of conspiracy following the collapse of the Kaupthing Bank. There had been a large volume of litigation. The parties sought clarification of what documents and witness statements were subject to collateral use protection. The cost and complexity of the disclosure of documents in large-scale commercial litigation continues to attract attention and thought. As a result of the major review undertaken by Sir Rupert Jackson the Civil Procedure Rules now provide, by CPR 31.5(7), a calibrated “menu” of forms of order that can be made in relation to disclosure. This allows disclosure to be tailored to the case or issue in the case. It is a signal development, but awareness and use of it needs to increase so that the opportunities it offers can be made the most of. The overriding objective, at the apex of the reforms led by Lord Woolf, is now found in other parts of the world too. It guides disclosure as it guides the rest of the CPR. Thus the selection from the “menu” at CPR 31.5(7) is to be made “having regard to the overriding objective and the need to limit disclosure to that which is necessary to deal with the case justly”. And strides continue to be made in relation to how the disclosure that is ordered, including disclosure of electronic documents, can best be carried out: see further CPR 31.5(8) and (9). But again, more could be made of the opportunities here. For all the challenges just summarised, “[f]ew if any common lawyers would doubt the importance of documentary discovery [disclosure] in achieving the fair disposal and trial of civil actions”. Lord Bingham (as Bingham LJ) so observed in Davies v Eli Lilly & Co and Others  1 WLR 428 at 445D, itself also a piece of large-scale litigation. Lord Donaldson (as Sir John Donaldson MR) described the right of discovery available in litigation in England & Wales as part of what enabled the court to achieve “real justice between opposing parties” (in the same case, at 431H). Lord Bingham (as Sir Thomas Bingham MR) went on to identify the promotion of the administration of justice as the underlying principle (Process Development Ltd v Hogg  FSR 45, 52). Rose and Hobhouse LJJ agreed, and the principle continues to be referenced: see for example IG Index v Cloete  ICR 254;  EWCA 1128 at  by Christopher Clarke LJ, with whom Barling J and Arden LJ agreed. 32.12(1) Except as provided by this rule, a witness statement may be used only for the purpose of the proceedings in which it is served. The common law implied an undertaking, to the court, not to use a disclosed document for a purpose other than for the purpose of the proceedings in which it was disclosed. Before that undertaking came to be implied, Bray spoke of the court requiring an express undertaking as a condition of granting an order for production of documents (Bray on Discovery, 1st edition (1884) at 238, referred to in Matthews and Malek, Disclosure, 5th edn at 1.01). The Defendants ask the Court to decide whether it is a collateral use for a party in their position to review documents and witness statements for relevance (step (a)), to list that material in order to give disclosure to the Claimants (step (b)), and to provide that material to the Claimants for inspection (step (c)). All parties also need to know whether it is a collateral use for them to inspect (review) the documents and witness statements provided on inspection with a view to a party deciding whether it actually wishes to rely on or otherwise actively make use of particular documents or witness statements in advancing its case or meeting the case against it in these current proceedings (step (d)). If any of steps (a) to (d) is a collateral use then permission is sought for that use. In my view it is possible to answer the matter simply, by applying the words of the relevant rules. It is also important to take this approach. Parties need to be able to rely on the words of the rules themselves to tell them what is expected, especially where (as here) the consequences of breach can be very serious, and may be treated as a contempt of court. The rules refer to “use” and to “purpose”. Use for any purpose other than the proceedings in which the documents were disclosed (or the witness statement served) is the subject of the rules. This admits no room for the argument that use for a purpose is not “use” because the purpose is, for example, benign or inspired by practicality or not what should be prevented. All of those situations may of course lead the court (or party or owner or witness) readily to grant permission for or agree or consent to the use, but that is a separate matter. It is possible, as Mr Beltrami QC points out, to find a dictionary definition of the word “use” that speaks of “deploying”. However that is but one form of use, and the rule does not suggest that one form rather than another or others is its focus. It is useful to examine step (a) (review) alone. Mr Beltrami QC argues that one of the reasons why that should not be treated as “use” is because “the mere review of documents by a party and its legal representative represents a negligible interference with the privacy of the creators or owners of the documents/statements”. In the present case that is true, but that is because of the purpose of the review sought. The interference represented by the review in another case might be far greater. What, for example, of a review designed materially to inform the commercial conduct of the reviewer in a market in which reviewer and owner both participated? If review is not “use” then a review for that purpose would be outside the collateral use protections, and I do not think that can have been the intention. Mr Beltrami QC and Mr Goldring QC emphasise that the Defendants are under an obligation to give disclosure in the present proceedings, and that steps (a) to (d) are not therefore voluntary. I see the presence of obligation as a relevant consideration when permission is considered, but not as something that itself provides an answer to the question whether the rule engages. It does not affect the nature or quality of the “use”; it goes to its circumstances and purpose. I do not understand Mason CJ to be saying that the curial process in other litigation automatically overrides the (formerly implied, but now express) obligation that was engaged when disclosure was given in earlier litigation. The curial process is designed to allow for the release of the obligation to be controlled by the Court. The Court can decide where and when the implied undertaking should yield. A different approach may apply if statutory provisions override the implied undertaking: see Australian Securities Commission v Ampolex Ltd  38 NSWLR 504 at 529-530 per Sheller JA). And Mason CJ’s point even there was, as he says, that “that circumstance is not a reason for denying the existence of the implied obligation”. Mr Beltrami QC argued to the effect that it was undesirable to adopt an interpretation that would lead to the incurring of substantial legal costs. I do not see that that need be the outcome. Here as elsewhere the costs should and can be proportionate. Thus it is important that parties are vigilant to the possibility of asking the Court to deal with applications “on the papers” and without a hearing in a straightforward case. In another case the opportunity might be taken to deal with the matter whilst other matters are already being considered at a case management conference. And if a significant hearing is required because of the nature of the documents or statements and the use and purpose for which permission is being sought and opposed, then the incurring of greater costs will be necessary but for an appropriate end. The subject matter is serious because it concerns part of the foundations of the disclosure process. Mr Goldring QC submitted that it was inherent in the structure of CPR 31.22 itself that a document obtained on disclosure can be read for certain purposes without first obtaining permission. I agree that the rules themselves do envisage the use of the document (i) for the purpose of assessing whether “the document has been read to or by the court, or referred to, at a hearing which has been held in public”, (ii) seeking permission of the court under the rule or (iii) seeking agreement under the rule. I am prepared to hold that the rules impliedly permit this very limited activity, because it is part of the working of those rules. The ambit of this implied permission may not be as wide as some parties would wish. In a complex case where a party did not already know (from its involvement in the litigation in which the documents had been disclosed) what document or documents it wished to use for a collateral purpose, the implied permission would not extend to allowing a review of the documents with a view to deciding (for example) whether the party wished actually to rely on or otherwise actively make use of any of those documents in advancing its case or meeting the case against it in other proceedings. For that, permission or agreement would be required. (See also Gee, Commercial Injunctions (6th edition) at 25-012 footnote 42). In my judgment if the purpose of a review of documents that were disclosed in litigation is in order to advise on whether other proceedings would be possible or would be further informed, then the review would be a use for a collateral purpose. Permission or agreement would be required unless the document had been “read to or by the court, or referred to, at a hearing which has been held in public”. If however the purpose of the review of documents disclosed in litigation was to advise on that litigation, but when undertaken the review showed that other proceedings would be possible or would be further informed, then (i) the review would not have been for a collateral purpose, (ii) a further step would be a use for a collateral purpose, but (iii) the use of the document for the purpose of seeking permission or agreement to take that further step would be impliedly permitted. I should not therefore grant declarations, as the Defendants ask, to the effect that steps (a) to (d) are not a collateral use. However I am entirely satisfied that I should grant permission for steps (a) to (d). On this, in the present case and context, I can limit what I say to saying that I do so on the evidence and in the circumstances of the case, and in light of the forward case management arrangements. These will in due course enable the Court to consider carefully any use beyond step (d) where that use is not the subject of agreement or consent.